In partnership with Florida College Systems (FCS) schools and community colleges, the program offers an alternative option for students to earn their degree after completing their associate’s degree. The 2+2 system (two years at community college, two years at the University) helps students to reduce the overall cost of attending a four-year university, in addition to reducing debt by offering scholarship programs and helping to eliminate excess credit hours. “We’ve had previous partnerships with state colleges, but IGNITE is more rigorous because it provides a more streamlined approach to engaging students from high school graduation all the way to community college graduation,” said William Hudson, Jr., Ph.D., vice president of Student Affairs, who plans to add additional partners to the program in the near future. In fall 2018, FAMU will kick off new IGNITE partnerships with Florida State College at Jacksonville, Florida Gateway College and Pasco-Hernando State College. Through Hudson and his team’s recruitment efforts, the University exceeded its goal of enrolling 794 transfer students for the 2017-2018 academic year. By the end of spring 2018, FAMU welcomed 854 transfer students. The University’s goal is to increase transfer student enrollment to 1,100 by 2020. IGNITE offers transfer students from partner schools, who meet university requirements, guaranteed admission into FAMU. IGNITEalso offers a “shorter time-to-degree process” that guides students to degree completion by offering customized intensive advising, curriculum maps and priority registration. Also, IGNITE participants become eligible for the FAMU Florida Community College Scholarship. McClarey added that the support she has received through the IGNITE program has “helped me to be more confident in my future endeavors.” She has become actively involved on campus and now serves as the president of the FAMU English Literary Guild and has garnered an internship with AmeriCorps. 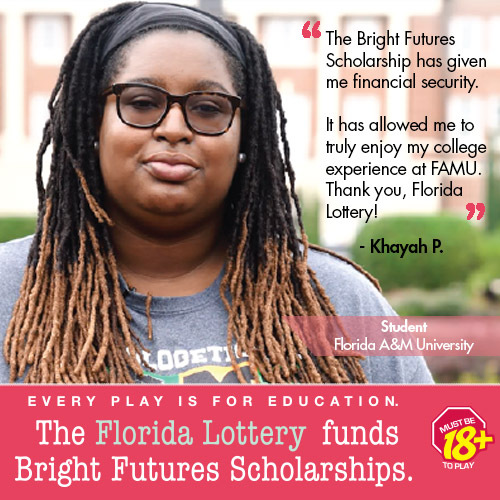 While at their respective community colleges, students in the IGNITE program can begin taking advantage of program features that include an ID card that gives them access to FAMU sporting events and other activities, internship and career services, study abroad opportunities, graduate feeder program opportunities and a campus organization just for transfer students. 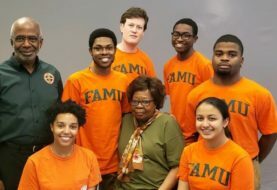 IGNITE is designed to give students who may not initially meet FAMU admission standards, an opportunity to first attend a partner community college to prepare them for success in the University’s nationally recognized academic programs. According to Broward College’s North Campus President Avis Proctor, Ed.D., a FAMU alumna, IGNITE has the potential to impact students and citizens from all walks of life. Each participating IGNITE partner college offers students degree program pathways that align with the University’s academic offerings. For instance, at St. Petersburg College (SPC) students participating in the IGNITE Program have the opportunity to focus on biology, accounting, engineering, criminal justice and journalism.